With Managed Network services, Rainier Connect provides a network design, installation, provisioning management and maintenance of your network. We provide an assessment of your current needs and anticipated usage, while taking into account your building layout. A custom LAN network schematic is then developed to meet your coverage and performance needs and a review of security policies. Looking for a wireless option? Rainier Connect also provides wireless design, installation, provisioning, management and maintenance of your Managed LAN wireless network. Connect with one robust and secure network. 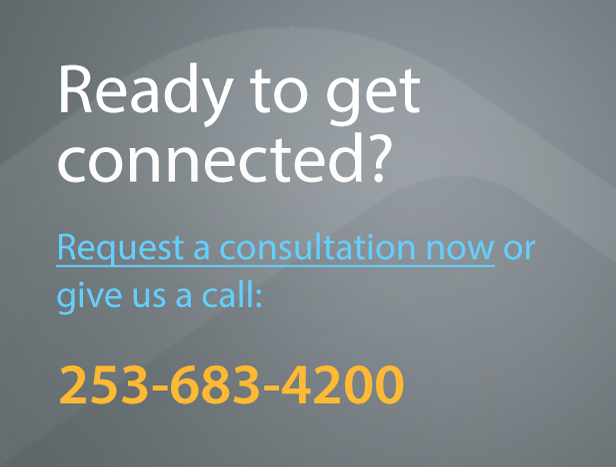 Rainier Connect delivers a reliable and more flexible solution for your complex network needs. Whether your business has multiple locations, telecommuters and several virtual private networks our engineers will design a solution to fit your requirements. Utilize Internet connections from Ethernet, T-1, or Broadband to connect depending on your bandwidth needs. We offer varying degrees of involvement and additional solutions from layer 2 or 3 service including redundant connections. Centralize your network resources in a single location minimizing the administrative effort while reducing costs. Leverage your existing infrastructure to easily add additional sites in the future. Resilient and secure connections for remote sites without touching the Internet. Direct connections from each site, so whether you are at a satellite office or working from home, each site can function as if you were at the main location. No more dropped or slow connections experienced with VPNs! An honest evaluation with a cost effective solution based on your needs.